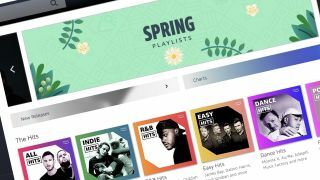 Amazon UK has launched a massive Spring Sale, with multiple savings on offer, but the star of the show is the chance to get 3 months of the internet giant's Unlimited Music streaming service for free. That means you get unfettered access to a library of over 50 million tracks, for zilch. Tempting, no? To sign up for 3 free months of Amazon Music, click here! The offer runs until April 15, and is open to new sign-ups only, so if you've had a trial or subscription before, it won't work.